We guarantee to beat any local competitors quoted price. 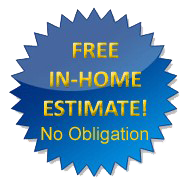 Take advantage of our no obligation on-site estimate and it will be guaranteed in writing. 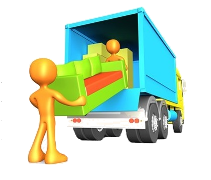 We at Pompano Movers understand how trying any relocation can be, especially if it is not handled properly. That is why we are dedicated to providing our customers with quality service at an affordable discounted price. We always strive to make any move as stress free as possible. By taking pride in the work that we do we are able to guarantee you quality service at the lowest prices around. Pompano Beach Movers is your one stop shop for all your moving needs and services. It doesn't matter how large or small your relocation project is or if it is local or long distance, Pompano Movers have been in the business for over 20 years and we will can get your belongings to their destination in a safe and timely manner. We also offer specialty services such as storage, commercial and piano moving We are staffed equipped to handle unique jobs like these. To or from Pompano and Broward, Miami – Dade or West Palm Beach to anywhere in Florida and nationwide, give us a call for a free estimate for all your moving needs. Discount Pompano Movers will be happy to come to your home or place of business and give you an on site, no obligation estimate absolutely free. Our team will assess your situation and determine your needs to ensure you a safe and stress free move. We will also give you a price quote in writing. All our price quotes come with a cap limit. With the cost cap in place you are guaranteed to never pay over the maximum price that we quote you in writing. Let us assist you with your next move and show you how we can provide quality service at an affordable price. We are fully insured, licensed and bonded with the proper authorities in the state of Florida. The employees of Pompano Movers will exceed your expectations and provide you with piece of mind at a very affordable price. So call us today at (954) 455 - 8987 or fill out a short quote form to receive a free guaranteed estimate. Copyright © 2019. Pompano Movers. All Rights Reserved.